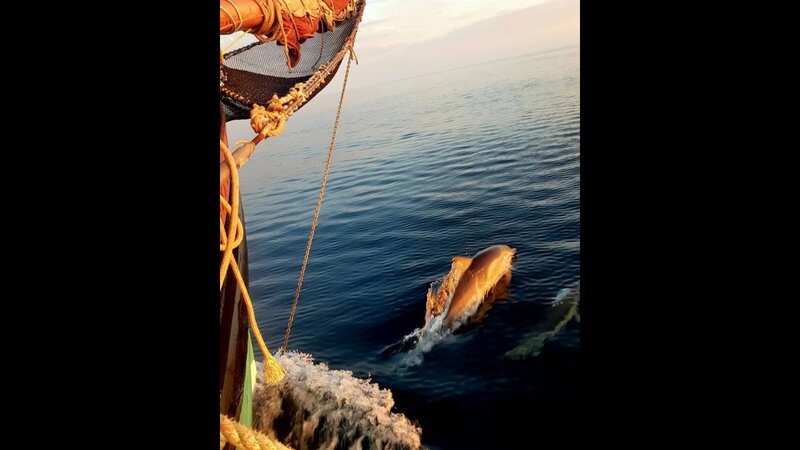 Experience the life of a sailor on board a traditional vessel. 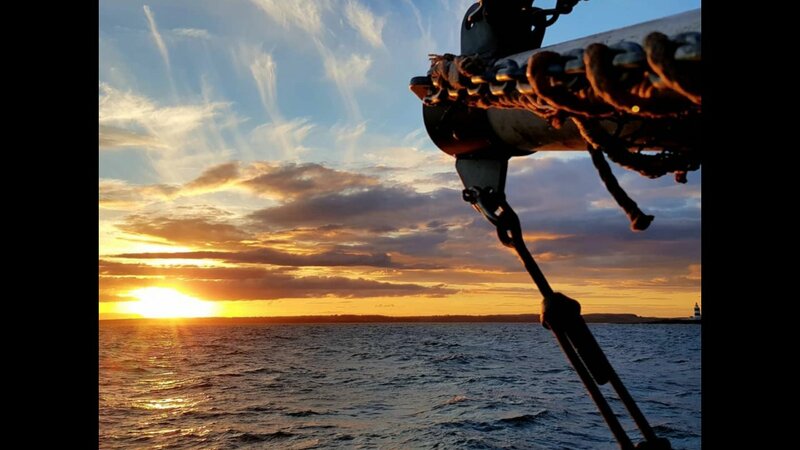 Sailing a traditional tall ship through the historic Dublin Port, into Dublin Bay and along the incredible coastline, a truly unique experience you will never forget. Learn about crewing a genuine traditional sailing ship. Set sail and let us immerse you in the beauty of the Irish Capital’s sensational bay. After a short safety briefing we'll be setting sails to explore Dublin bay. We will give you a few basic sailing instructions and teach you how to trim sails while enjoying the Liffey estuary. 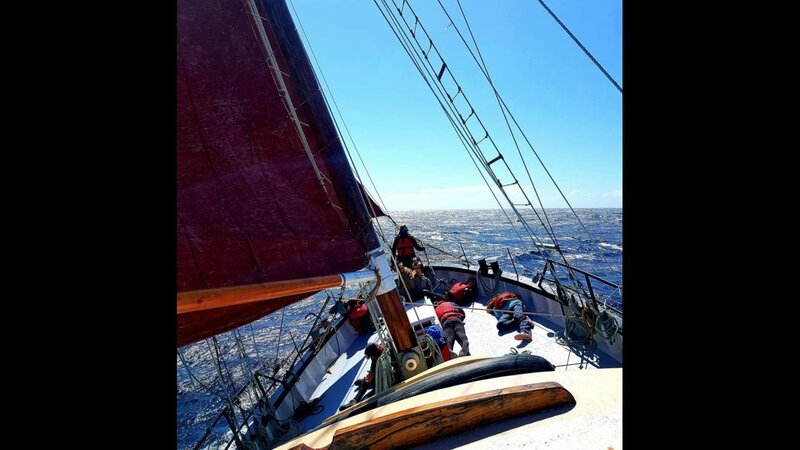 You will have the option to climb up the rigging and out on to the “Bowsprit” (the netting at the very front of the ship). You will also pass through Dublin port, past the famous Bull Walls and along the coastlines of Howth and Dalkey. Learn how the Irish High King “Brian Ború” took on the Vikings in the Battle of Clontarf bay in 1014 as we sail by that very location. From history to nature we're very excited to share our local knowledge with you! No experience is necessary, just enthusiasm. Feel the wind fill the sails and lift the ship and her crew into an experience of a lifetime. Poolbeg Marina. A bar, changing rooms and showers are available at the premises the Marina. Taxis can come get you there just ask bar staff to press the taxi button for you. Cancellations must be made in writing no less than 10 days before the activity is due to take place. Non-attendance will result in the full amount being forfeited. Dublin Under Sail reserves the rights to cancel activities at any time without prior notice when we believe it is necessary for safety reasons (e.g. unsafe weather conditions). In this case, customers will be given the option to reschedule or offered a full refund.